This film shares the voices of Gwich’in women at the 2010 gathering, who speak out for their sacred land, the caribou and their way of life. Watch this short film today to learn more about the Gwich’in people. Fill out the form below to join our effort to protect the Refuge! 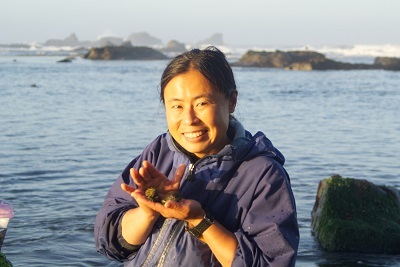 Miho Aida, born in Japan, is a filmmaker, educator and the founder of the environmental media project If She Can Do It, You Can Too: Empowering Women Through Outdoor Role Models. Her award-winning short film The Sacred Place Where Life Begins: Gwich'in Women Speak advocates for permanent protection of the Refuge's coastal plain from the Gwich'in women's perspective. You may purchase the DVD of this film as well as inquire about public screening opportunities. Please visit www.mihoaida.com/gwichin. Author photo by: Duffy Ross. A middle schooler from Campbell, California watched the film and wrote to President Obama about protecting the Arctic Refuge. Make your voice heard in the form below.